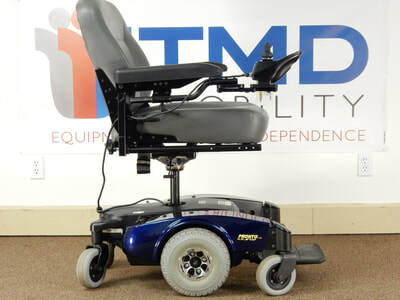 This is a pre-owned Pronto M61 and is in good condition. 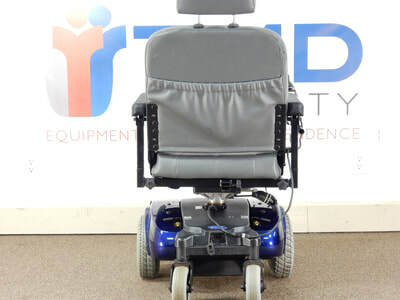 The grey vinyl seat measures 20"wide x 18/20"deep and is also in good condition. The M61 has an on-board charger and the charging cord is also included. The Pronto M61 is EZ-Lock compatible and can be adapted for your current vehicle. This unit comes with a 30 day warranty. 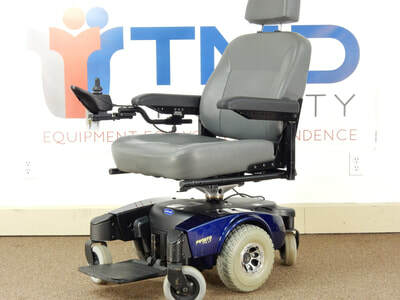 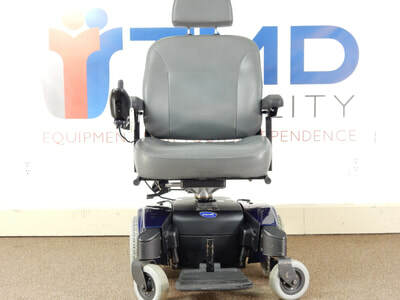 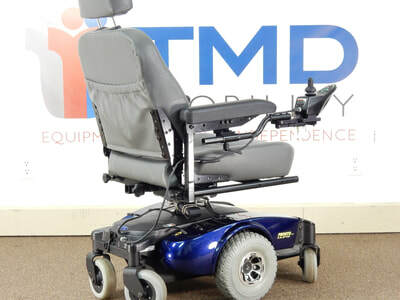 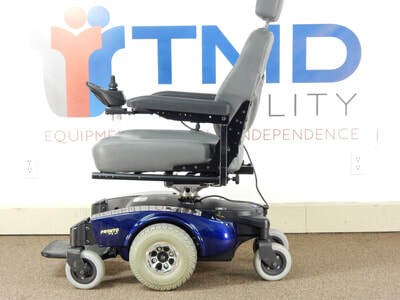 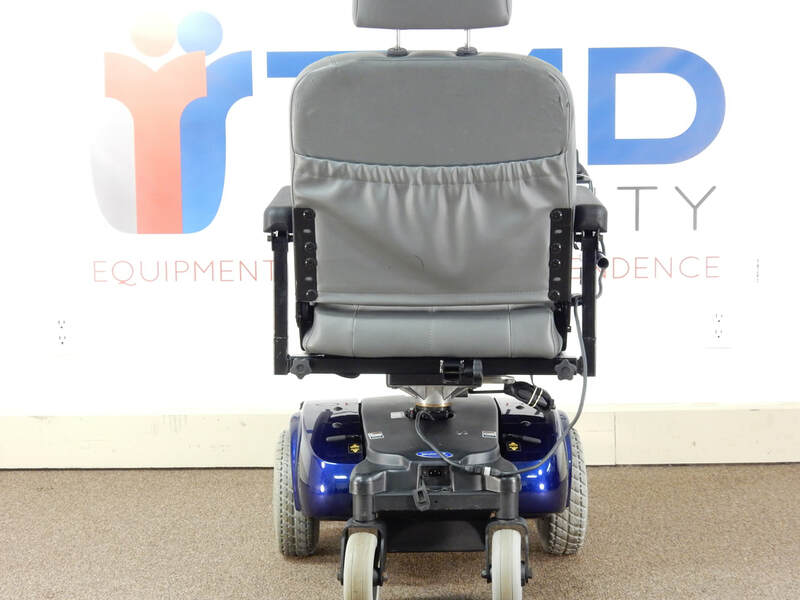 The Invacare Pronto M61 power wheelchair boasts a standard power elevating seat that provides up to five inches of elevation at no additional charge. 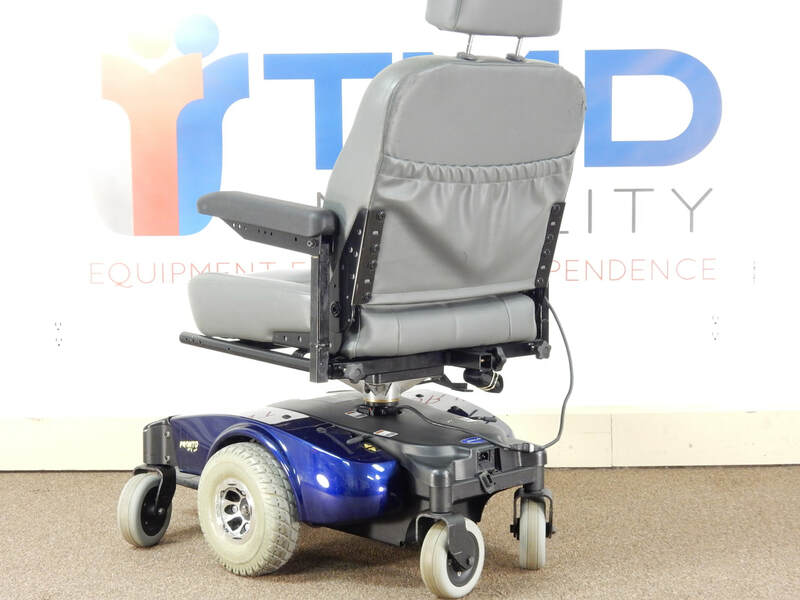 This additional elevation is great for reaching items on high counters or shelves and it is also good for those with longer legs. 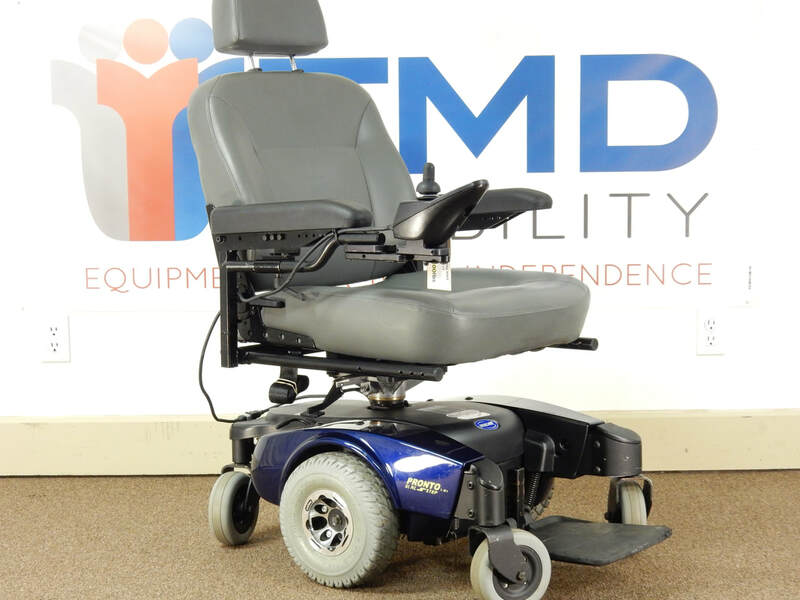 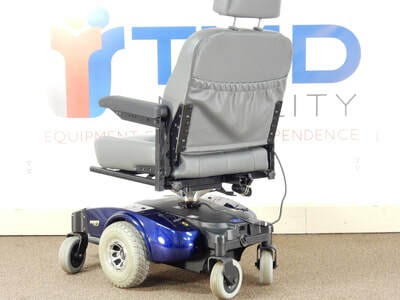 The Pronto M61 also has Invacare's six wheels on the ground technology to provide a smooth and stable ride even when the seat is elevated. 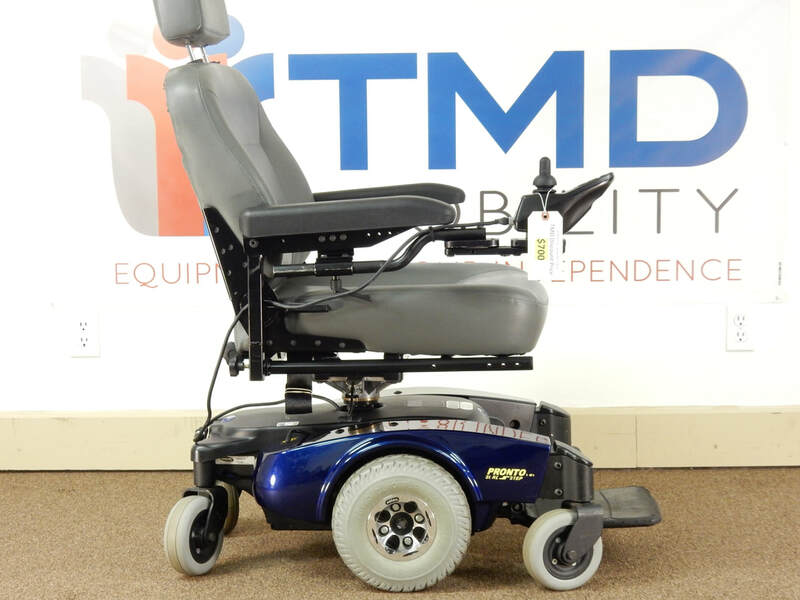 And with the SureStep technology the M61 can easily drive over thresholds and transitions up to two inches high while still maintaining stability.